Joe Namath was a highly successful football quarterback during his heydays. For his first three years with the New York Jets, Namath was paid a salary of $427,000, which was a pro football record for its time. Since retirement, Namath has used his sports icon stature to venture successfully into acting, broadcasting, and multiple businesses. Joe Namath started playing collegiate for his alma mater, the University of Alabama. Namath’s coach at Alabama, Paul Bryant said of his decision to recruit Namath as ‘the best coaching decision I ever made’. Joe Namath led the Alabama Crimson Tide to a national championship in 1964. The same year, Joe Namath was ranked eleventh in the balloting for the 1964 Heisman Trophy. 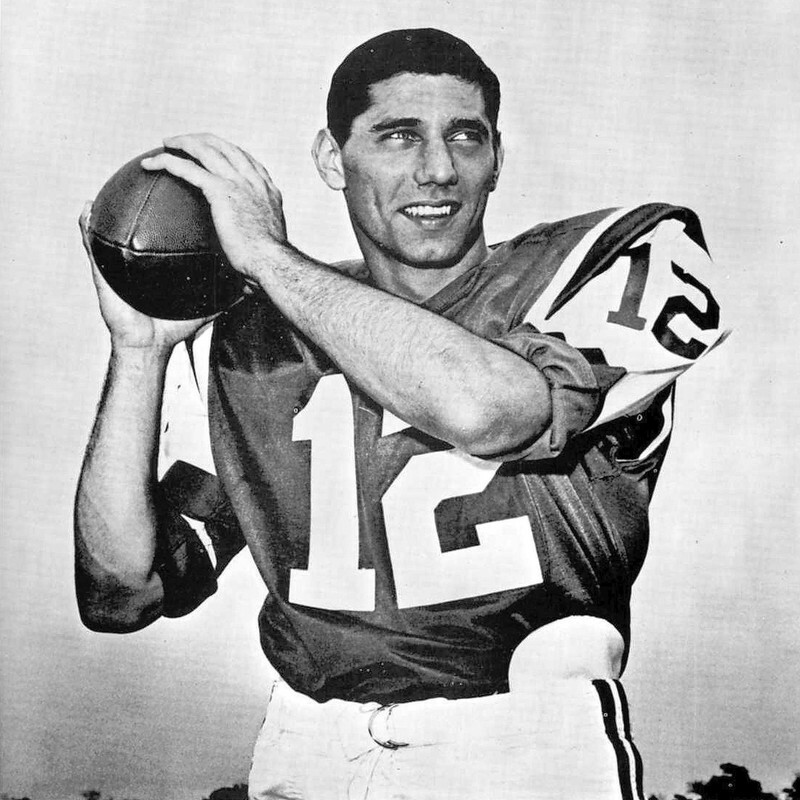 After his senior year, Joe Namath ended up being the first-round draft selection for both the NFL and the upstart AFL. An intense bidding happened between the two football titans. Namath was eventually selected by the St. Louis Cardinals in the NFL Draft and by the New York Jets in the AFL Draft. St. Louis Cardinals agreed to Namath’s demand of a $200,000 salary and a new Lincoln Continental but demanded Joe to join the team prior to the Orange Bowl. Appalled by St. Louis Cardinal’s demands, Joe Namath went on to play the orange bowl before signing with the New York Jets. In his rookie year, Joe Namath started playing by splitting time with another Jets quarterback, Mike Taliaferro. Jets lost all of their first six matches which then led Namath to be appointed as the full-time quarterback. 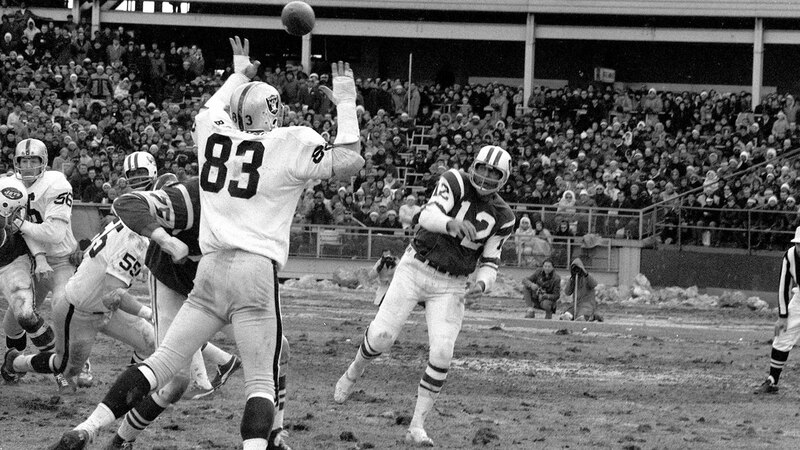 The decision produced glorious results for the Jets as they won five out of the eight games they played with Namath following his promotion. Joe was subsequently named the AFL Rookie of the Year. Shortly before the NFL-AFL merger, Joe Namath played one of his most impressive matches; the Jets went against the Baltimore Colts for a 16-7 win The Colts were one of the most powerful teams in the AFL and many had expected them to win. In an interview before the game, Namath was quoted to have said ‘We’re going to win the game. I guarantee it.’ Following other successful games, Namath was named the Super Bowl MVP. Joe eventually retired with the Los Angeles Rams in 1977. Following his retirement from professional football, Joe Namath started to work in the entertainment industry. Namath has appeared on multiple TV shows including The Simpson, The Tonight Show starring Johnny Carson (as a guest host), Here’s Lucy, and The Love Boat. Joe Namath married Deborah Mays in 1984. 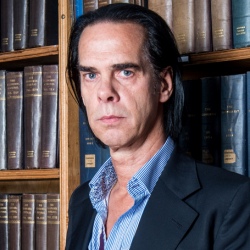 The couple, who had an age gap of 19 years, went on to have two children together before divorcing in 2000. Namath, who struggled with alcoholism practiced sobriety after Mays warned him of it breaking their family. Joe relapsed after his divorce. Joe Namath maintains a Twitter account by a username of @ReaJoeNamath. The account is followed by more than 100 thousand people.